Lesser Calamint grows as a beautiful perennial shrub for the herbal border forming a compact mound of shiny, green oregano-like leaves which become covered with lavender pink flowers to a height of 18 inches. The Lesser Calamint plant smells like a cross between mint, and oregano, and can attract butterflies. Lesser Calamint usually grows in the Summer, and well into the Fall. This plant needs not to be replanted year after year, as it can become dormant in the winter months, then reblossom in the spring. Furthermore, in the Fall, the plant's flowers, which contain seeds, fall to the ground, and will "plant themselves," therefore making a new plant blossom in the Spring. These flowers will start to appear in late August. Lesser Calamint grows wildly, but can be planted in pots, for convenience. 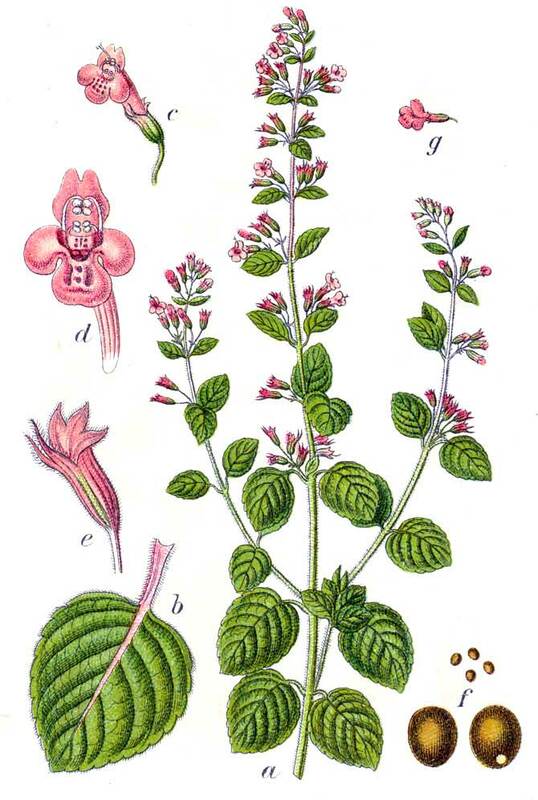 The life expectancy for an average Lesser Calamint plant is about 3–4 years. The only problem with this plant is that a powdery mildew might occur on the plant.